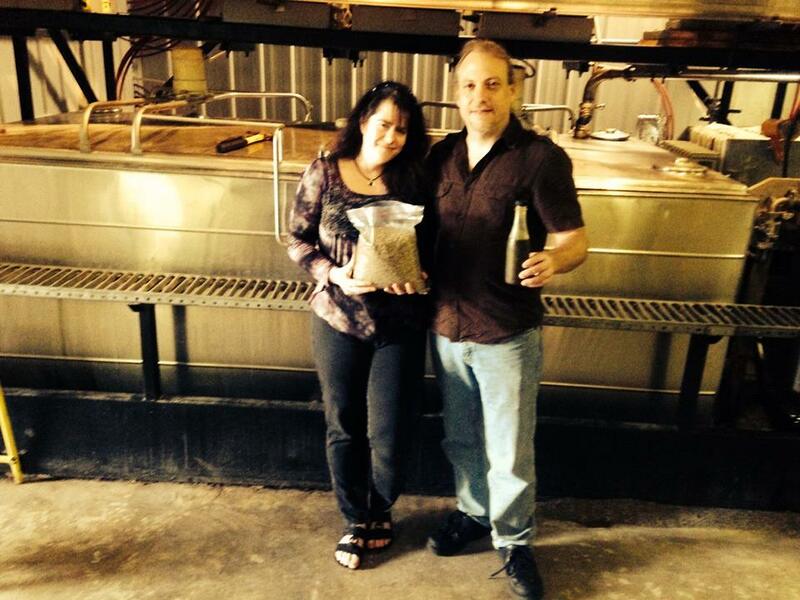 We got to tour a mill that presses seed for oil and will one day be pressing hemp seed. It was a profound moment for me getting to taste the freshly pressed hemp seed oil. We just took a swig of it right out of the bottle and I was skeptical because well….ug, who wants to take a swig of any kind of oil? lol. It was delicious! Healthy AND tastes great is a rare combination! 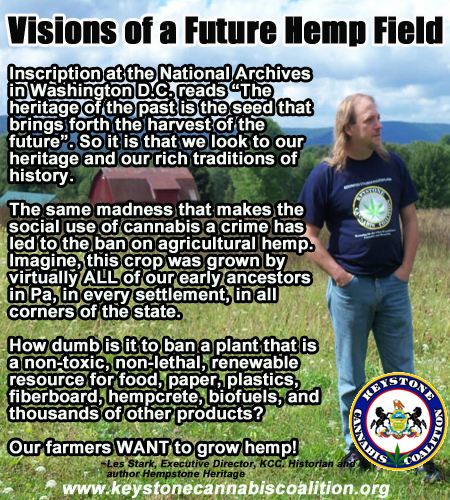 HEMP – Coming Soon to Pennsylvania! The ground I am standing on has been cultivated previously for canola. 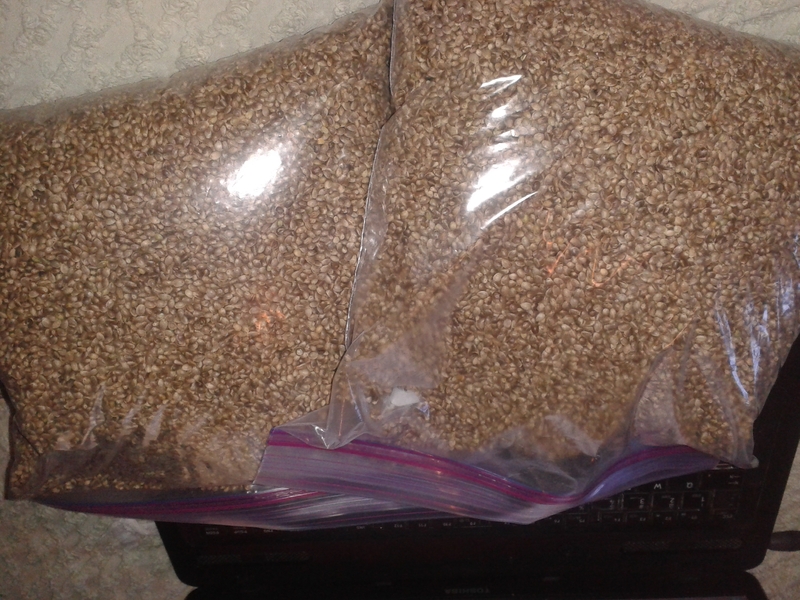 The seeds were crushed to make canola oil. The farmer in northern Pennsylvania wants to grow hemp and add hempseed oil to his list of products he produces with his local mill. Standing on that beautiful farmland it was easy to visualize the hemp fields that will flourish there in the very near future. Next January, industrial hemp legislation will be introduced to Pennsylvania that will allow our farmers to get in on the ground floor of an exciting new agricultural revolution. This will lead to manufacturing jobs as well and will benefit the people, environment and economy of Pennsylvania greatly. We expect the hemp bill to be introduced in January. In the meantime, everyone should get themselves educated on this most useful crop and set about helping to educate the public. At Keystone Cannabis Coalition, we are helping to put together a powerful coalition that will be unbeatable in advancing this legislation. As polls across the country continue to show growing support for marijuana legalization, the Northeastern Pennsylvania Cannabis Network and the Keystone Cannabis Coalition are planning a rally for cannabis reform for Saturday, Sept. 27 at 1 p.m. at Kirby Park (160 Market St., Kingston). The focus of the Wilkes-Barre Cannabis Reform Rally will be the “urgent necessity” for Pennsylvania to pass Senate Bill 1182, which would legalize marijuana for medical use across the state, though all cannabis related issues will be discussed, according to the rally’s Facebook event page. Several factors have recently converged to make passage of a medical marijuana law in Pennsylvania a distinct possibility. First, public opinion in the state is now overwhelmingly in favor of legalizing marijuana (cannabis sativa) for medical use. Results of a Franklin and Marshall College poll in February 2013, indicated that 82 percent of Pennsylvanians favored allowing adults to use marijuana for medical purposes if recommended by a doctor. On March 3 a Quinnipiac University poll showed support in Pennsylvania at 85 percent. When analyzed by age, gender and political orientation groups, a minimum of 78 percent in each group supported medical marijuana. Editorials urging the passage of a medical marijuana law recently appeared in major news outlets in Harrisburg’s PennLive/Patriot News (April 11) and Pottstown’s The Mercury (May 13). The second key factor is development of bipartisan support for such a law in the state legislature. State Sen. Mike Folmer (R-Lebanon) is a prime sponsor of SB 1182, titled the “Governor Raymond Shafer Compassionate Use of Medical Cannabis Act.” The other sponsors at the time of this writing include one other Republican senator and nine Democrat. In the House, state Rep. Jim Cox (R-Berks) will shortly be introducing HB 2182, which will be similar to the Senate bill but with updated language based on discussions with the Senate. Sen. Folmer and Rep. Cox are both motivated by a desire to alleviate suffering on the part of patients with symptoms that cannot be relieved with currently available treatments. Rep. Cox explained his involvement in this effort by saying, in part, “I feel that it is our responsibility to address this as a means to help patients who are suffering with ailments whose symptoms cannot be relieved with conventional medications. I feel that it is imperative that we move forward with the input and expertise of the medical community.”…..
Make sure you REGISTER and VOTE!